The variety of trains and train companies in Japan can seem complex to visitors, and I’m not going to lie to you: it is. What it isn’t is impossible, and fortunately I am a huge train nerd, so buckle in and I’ll walk you through it. It’ll be fine, don’t worry. The main operator is Japan Rail, or JR, but JR is actually a group of smaller companies: JR East, JR West, JR Central, JR Kyushu, JR Shikoku and JR Hokkaido. Unless you are using a regional-only JR Pass, you really don’t need to worry about this, and may consider them all to be JR. There are many smaller operators, running everything from an entire regional network to one tiny line that services a handful of stations. These are often owned by a department store, oddly enough, and came about as a way of helping potential customers reach a specific shop. 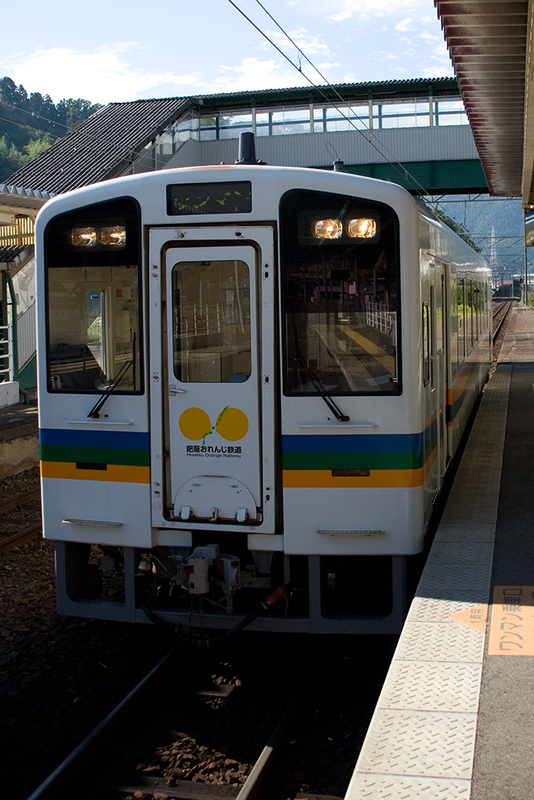 Trains running on these non-JR lines are not covered by any JR Pass. There is a rail pass available to visitors to Japan called the JR Pass, and it’s offered by the Japan Rail Group. You can only purchase it from outside Japan, and up to three months ahead of your visit. You don’t buy the actual, physical pass, though; what you purchase is an exchange voucher, which once in Japan you can swap for the real pass. The JR Pass allows for endless free use of most JR services for the duration of the pass. If you plan to do a return journey between, for example, Tokyo and Kyoto in under a week, then the JR Pass is value for money. Any distance shorter than that, and it isn’t. Obviously the more you use it, the more it’s saving you. Regional passes can save you a small amount of money over the full JR Pass if you are certain to be using one line only. The JR Pass can be used to reserve a seat, free of charge. There is a surcharge if you wish to reserve a Green Car seat (more on that later on). 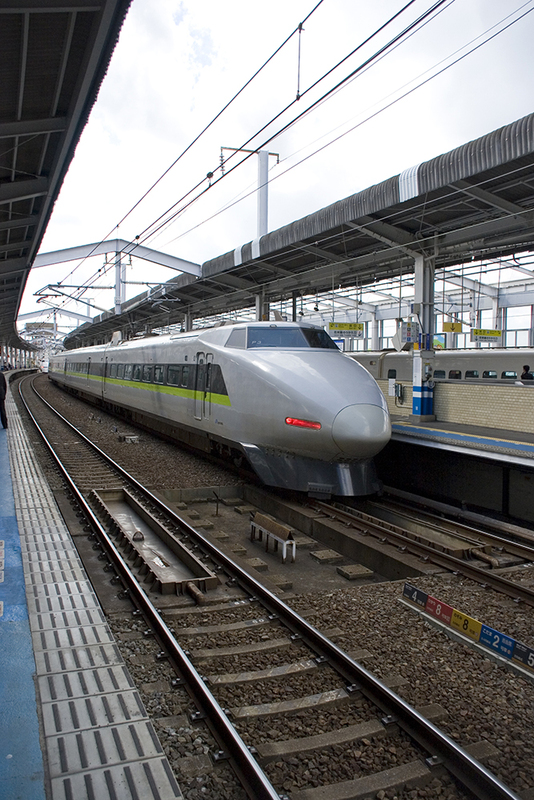 The pass cannot be used on a handful of services, but these are usually the fastest Shinkansen routes. Don’t worry, regular Shinkansen is fast enough: all you’re losing is half an hour. Why, yes. 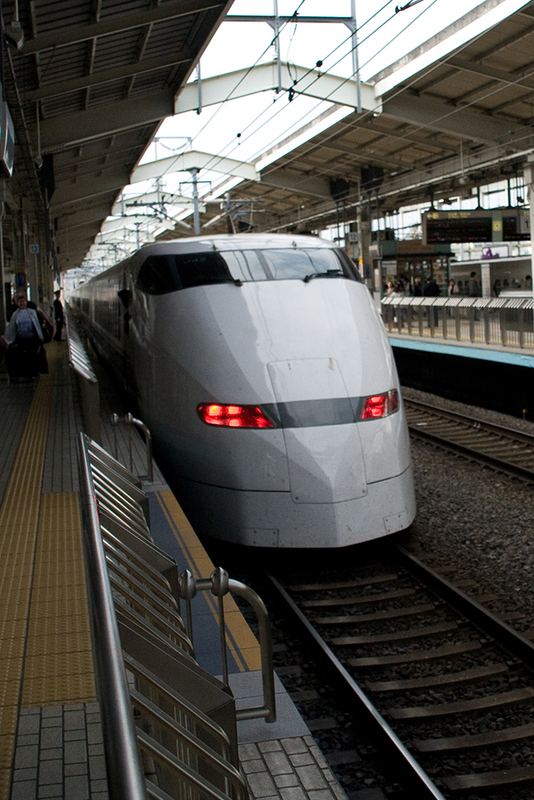 The Shinkansen IS awesome! Local: These will stop at every single station en route. Rapid: Often commuter trains, these will skip a few stops. Express: The Express drops a few more stops than the Rapid. Limited Express: These stop only at major stations, and usually incur an “express” surcharge. 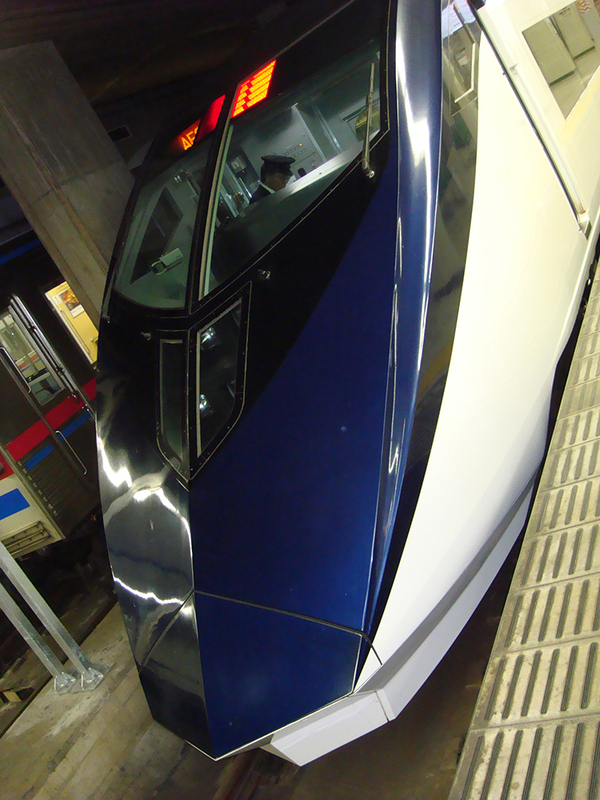 Super-Express: Shinkansen. There is a surcharge for going super fast. Reserved: It’s possible to reserve seats on most Limited and Super Express trains. There is a surcharge for this, unless it is a JR Train and you are using a JR Pass, in which case the fee is included. Unreserved: There are three unreserved cars on most Shinkansen routes, and everything slower than Limited Express is unreserved seating. Some Limited Express and Shinkansen are all Reserved seating. Green: The Green Car is essentially First Class. More legroom, wider seats, and so on. Smoking: There are smoking cars on Limited and Super Express. If you don’t smoke, avoid them, because it’s like walking into a nicotine sauna. There’s a nifty feature on Shinkansen and some Limited Express trains: you can rotate the seats. Look for the foot pedal at the end of your row, and press it down, then push the row. It’ll pivot 180° on a central axis, then lock once it’s facing the other way. This is super-handy if you’re travelling in a group, allowing you to face each other. There are LOTS of different models of Shinkansen, too. There are two ways: ticket machine and counter. Ticket machines in Japan are great, and you should use them even if you don’t speak a word of Japanese. Why? Well, for a start it’s quicker than queueing for a counter. If you are buying a regional ticket, there will be a huge map on the wall above the ticket machines. Look for one in English, but don’t worry if you can’t find it. There are a list of stations, and each has a number beneath it: this number is the cost in yen for a ticket to that station. You then buy a ticket of that cost from the vending machine. That’s it. You don’t have to pick a destination station, or a train time, you just pay the appropriate cost and go. If there’s no English map, don’t worry. Buy the lowest cost ticket available. Every station has a Fare Adjustment machine, so when you exit at the station you want, pop your ticket in the Fare Adjustment machine and it will tell you how much extra you need to pay. Simple! If you are travelling with a JR Pass, but not on the Shinkansen, you don’t need to do any of this: show your pass at the gate and the guard will allow you through the barrier. To travel on the Shinkansen you must have a ticket, but this is issued for free at ticket machines, and is shown at the barrier in conjunction with your pass. Machines which issue Shinkansen tickets have a button to convert the interface into English. Using the counter may require a modicum of Japanese, even if you are buying Shinkansen tickets. You cannot guarantee that your assistant will speak English, and you will need to be able to communicate the number of travellers, your destination, when you wish to travel, whether you want Reserved or Green Car seats and, if so, whether you want Smoking or Non-Smoking. Now, this can be achieved, but you need to be prepared for much pointing at screens, sign language, and double-checking, so if time is a concern use the vending machine. This is the JR Kyushu Tsubame Shinkansen. All right! You have your ticket! Now… What to do with it? The ticket gates have a slot. Pop your ticket in with the strip facing down, and head through the gate. At the other end, your ticket will be popped out (if you are entering a station) or eaten (if you’re at your destination and leaving the station). If you’re travelling on a JR Pass, you must go through the attended barriers. This can lead to a bit of a wait if there’s a queue, so always get your Shinkansen ticket for the train after the first one, just in case. They’re usually along every ten minutes, and it gives you time to grab lunch on the station concourse. 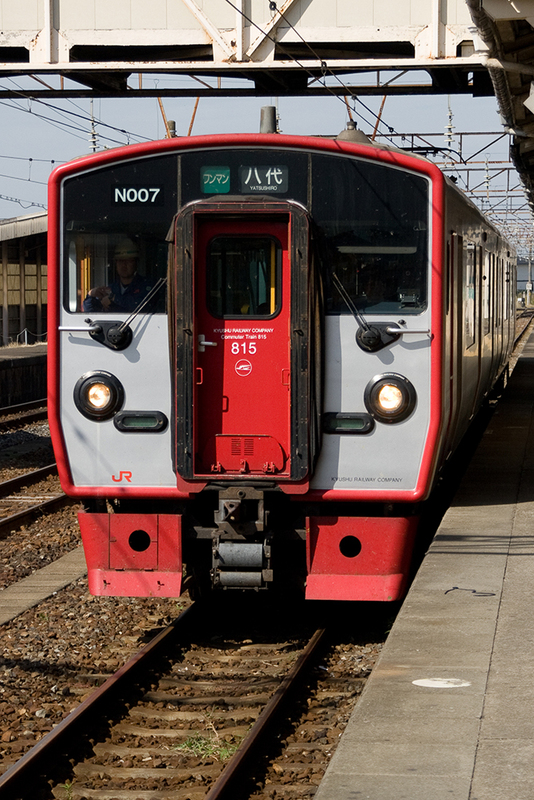 Not a JR Train, this is a Kyushu regional line. Ridiculously easy, so don’t panic. 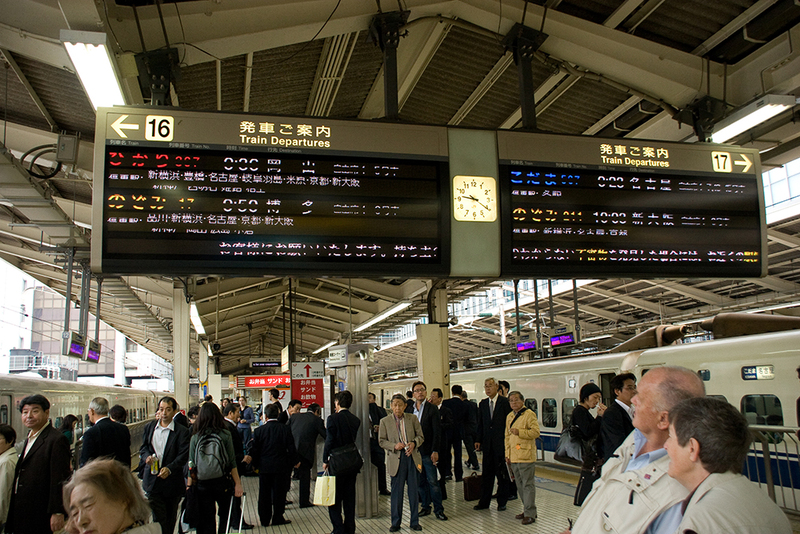 Platforms are labelled in Japanese and English, and at the larger stations there is a huge board just beyond the ticket barriers telling you which trains will be at which platforms. 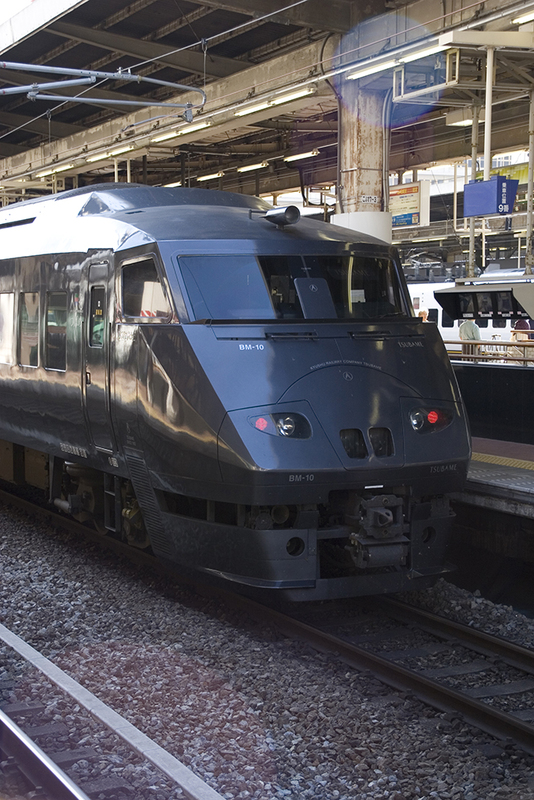 If you have a Shinkansen or Rapid Express ticket your train will have a number right beneath the date and time. Look for that train number on the board, et voilà! What? It’s a train platform! How hard can it be? Actually it isn’t hard. It’s easy. Efficiency is the name of the game here, and rather than waiting for your Shinkansen before rushing to find your seat in a train which is over a quarter of a kilometre long, you can find the section of platform which your car will pull up at, and queue in a neatly marked out line to wait for it. 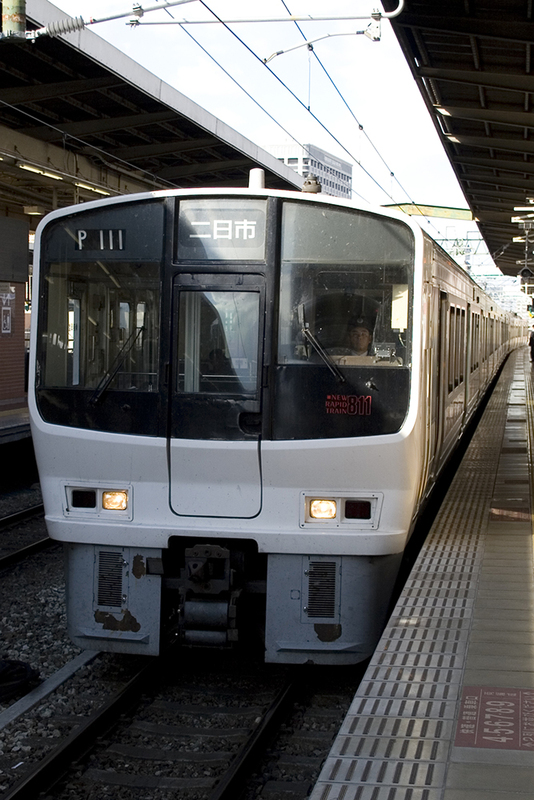 The car number is on your ticket, to the right of the train number; find the corresponding number on the platform about ten minutes ahead of time and everything will go smoothly. For the slower trains, it’s much more of a bunfight. Where possible, avoid rush hour. You’ll thank me. It doesn’t get much more Local than this! Wait for all disembarking passengers to do so before entering the train. On slow trains hardly anyone will bother doing this, but if you try boarding a Shinkansen before departing passengers have done so you’ll get glares, and possibly even politely told off by a conductor. Stow luggage in the space available, or keep it with you if there’s room to. Grab the first available seat if you’re in an unreserved car, or head for your seat number if you reserved one. If you have an unreserved ticket it is perfectly acceptable to take an unused seat in a Reserved car, so long as you give it up when the person who has reserved it arrives. Likewise if someone is in your seat when you get to it, a smile and a friendly sumimasen while showing your ticket is all it takes. They will apologise profusely (even though there’s no need to) and move on. Talking on mobile phones is strictly prohibited in the seated areas of trains, but if you must make a call it’s okay to do it in the space between carriages, so long as you make sure the door is closed. Limited and Super Express usually have toilets on board, every other car. Pay attention, because the sign on the door tells you whether it is a Japanese or Western Style toilet, and unless you do regular yoga practice you don’t really want to try a squat toilet on a moving train. Both styles are available on all trains, so just keep looking until you find one you can sit on. Station names are announced over the tannoy on approach, but on slower trains this will only be in Japanese (not that the Japanese pronunciation of “Takeyama” varies greatly from the English, but it bears mentioning, and can get lost among the rapidly-spoken “This train is now approaching…”), so look out of the window as you pull into a station. 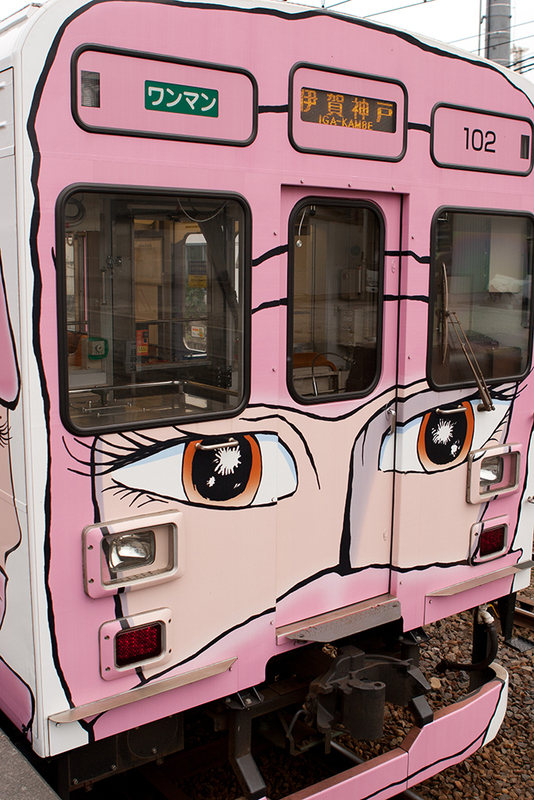 The station’s name is written in Japanese and English, so it won’t take long to confirm whether this is your stop. Make sure you have all your belongings, and hop off quickly. The trains don’t dawdle at stations. Okay, the Hisatsu Orange Railway is VERY Local! That’s all there is to it! It may seem terrifying at first, but with a bit of patience you’ll have no trouble getting to where you want to go. If you’re going to Japan any time soon, this is a ‘must’ read. There’s some really great and informative content here! I think anyone using a JR Pass will find it super-helpful. Thanks heaps for making this. I remember how nervous I was when I first moved to England (the only public transit we had where I’m from in Canada was a bus system), and I understood the language here! I can’t imagine how it would be for someone going to Japan without this info. Epic guide Trudi! Great stuff, really impressive! I didn’t have too much trouble with trains thankfully during my experiences there last month, but then I didn’t need to take the Shinkansen. Having been at Tokyo station though I can imagine that I would have found things a fair bit more confusing there mind haha! Nippon’s rail service sure is complex. Awesome guide, though. Bet it runs… like CLOCKWORK!!! My local tram service can’t even get me to the city centre without breaking down. Recently my trip to work went like this; tram was late, then broke down, then started working again – in the centre I got my bus, which then broke down. Got a replacement, which then drove us into a tree. Fun! Tha were lucky t’ave tree! When I were a lass all we ‘ad were twigs!